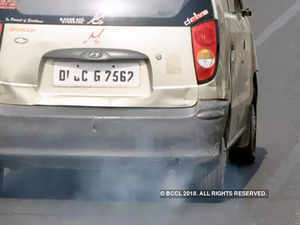 SC clarified that retro-fitments of cars with CNG kits have been permitted by the central government under the law and hence it would not count as structural change. If you have modified your desi model vehicle to satiate your penchant for making it resemble any sleek foreign brand, then transport authorities from now onwards will refuse to register the vehicle. In an important judgement, the Supreme Court bench of Justices Arun Mishra and Vineet Saran on Tuesday overturned a Kerala high court decision and ruled that the vehicle being registered must meet the ‘original specifications by the manufacturer’ as was mandated under Section 52(1) of the Motor Vehicle Act. The bench said minor alterations like painting the car or vehicle to a colour of the owner’s choice and minor fitments as permitted under the Act would not disqualify a vehicle for registration, but the moment structural changes were effected, to the body or chassis of the vehicle, it would not be eligible for registration. It said: “The emphasis of section 52(1) is not to vary the ‘original specifications by the manufacturer’. Writing the judgement for the bench, Justice Mishra said that only the prototype of the vehicle manufactured is tested for road-worthiness and safety features and hence, no vehicle which does not match the original specifications of manufacturer could be permitted to be registered. It said even for replacing the engine of a old vehicle with an new engine of same make and capacity, one has to take prior permission from the registering authority or face the danger of getting registration cancelled. “The object and the clear intent of amended section 52 is that the vehicle cannot be so altered that the particulars contained in the certificate of registration are at variance with those ‘originally specified by the manufacturer’,” the Supreme Court bench said. However, it clarified that retro-fitments of cars with CNG kits have been permitted by the central government under the law and hence it would not count as structural change. It cited an earlier decision of the court by which the registration of a goods vehicle, which was altered into an ambulance, was cancelled. Would it impact companies which alter the desi-model vehicle to jazz it up into an eye-catching model? The court did not refer to these eventualities while delivering the judgement. What about those who alter the vehicles after registration? Though the court is silent on it, it indicated that those vehicles would be liable for cancellation of their registration.